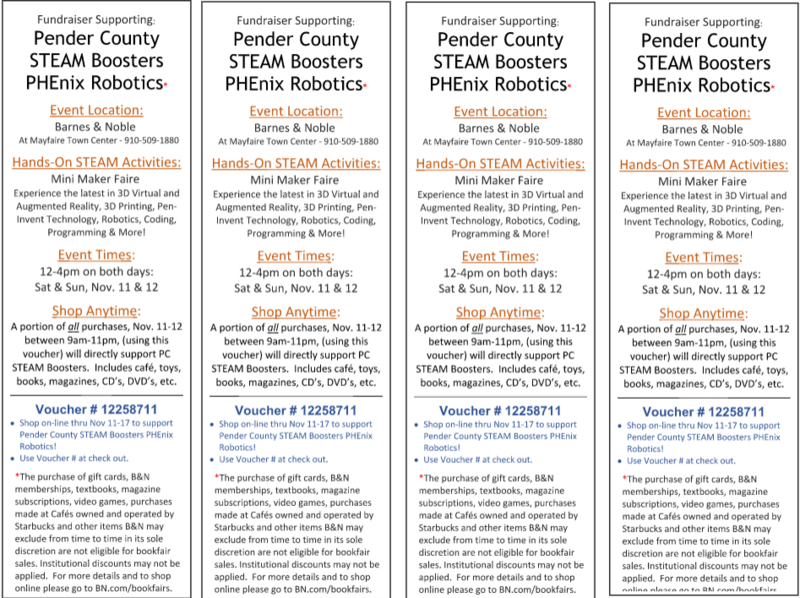 Join us at Barnes & Noble in Mayfaire for the Mini Maker Faire on Nov. 11 & 12 from 12-5pm. Our Robotics team and Game Design Club will be showcasing some of their work. Barnes & Noble is helping to raise money for our programs by donating a % of all in store and online sales to our booster club. All you need to do is show the cashier our voucher at checkout, even if you are just buying coffee at the cafe. 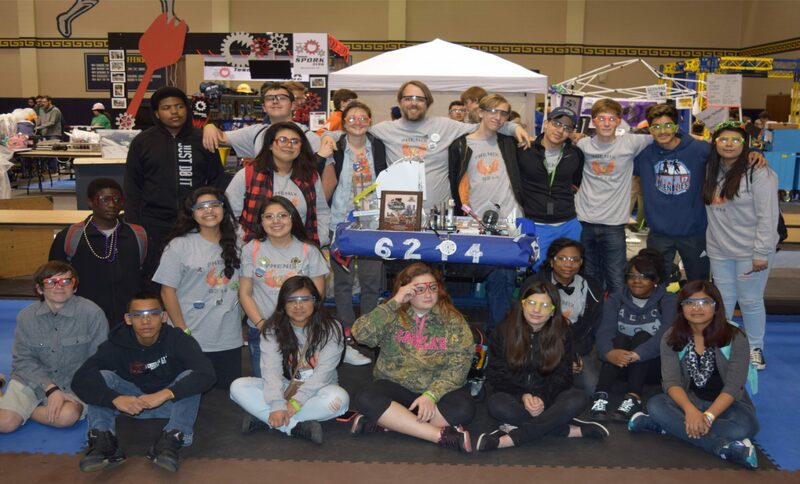 The Robotics team will have their robot on hand for anyone to come and ask questions about along with a 3D printer that they are hoping to be able to make some small items for the younger attendees. They are hoping to be able to have the robot move around but that is dependent on space available. The Game Design Club will have their computer with a few working prototypes for anyone to play and see what they are learning about. The games may not be fully polished but they are fun to play and see how they work. They are hoping to have one of their games from a few years ago that created a lot of competition between the club students and attendees for high score. This is where you can find information about past and upcoming events, as well as our thoughts and impressions on how things are going for each program.